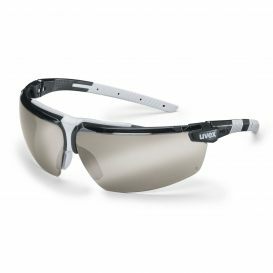 Only security goggles that fit well are enjoyable to wear – that's why we designed the uvex i-3 safety glasses. 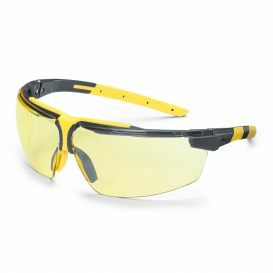 Thanks to the 3-component technology of the uvex i-3 safety goggles, they adapt to every face, making it extremely comfortable to wear and providing an outstandingly secure fit. 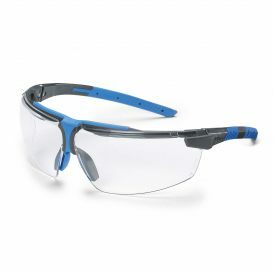 Yet the uvex i-3 safety eyewear series doesn't compromise when it comes to protection. 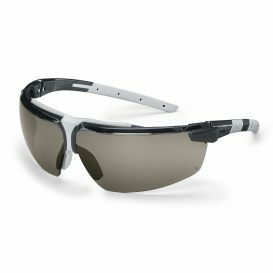 The uvex supravision excellence technology featured by the uvex i-3 safety spectacles series offers extremely scratch-resistant and chemical-resistant qualities on the outside of the security glasses, as well as anti-fog features for at least 16 seconds on the inside. Furthermore, the modern uvex i-3 safety glasses fulfil the safety norm EN 166 (Personal eye Protection) and EN 170 (UV Protection) or rather EN 172 (Sunglare Filters For Industrial Use). 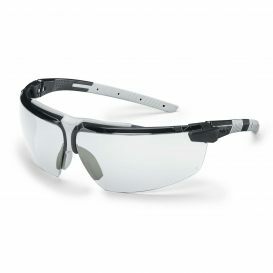 In addition, the security goggles offer pressureless fit, even when worn for extended periods.